Some of the prizes include; Tickets on SurfAir, an autographed guitar from Michael J Fox. Trained volunteer facilitators with first-hand experience of Parkinson’s lead this self-management group. Attending with your partner and/or carer to share experiences and discuss the practical and emotional impact of Parkinson’s. Since Parkinson’s disease can cause mental health issues, purpose of the forum is to discuss progress in the implementation of policy recommendations from the Joint Action on Mental Health and Well-being, to present an overview of best practice across the EU, and to address emerging issues. A multidisciplinary educational forum offering access to the latest discoveries and developments in the discovery and therapy of non-motor symptoms in Parkinson’s and other neurodegenerative conditions. Join Parkinson’s UK for a day of talks with updates on key areas of research happening in Northern Ireland. Speakers will include: Dr Matthew Rodger, School of Psychology, Queen’s University Belfast, Claire Bale, Head of Research Communications and Engagement, Parkinson’s UK and Dr Mihalis Doumas, School of Psychology, Queen’s University Belfast. 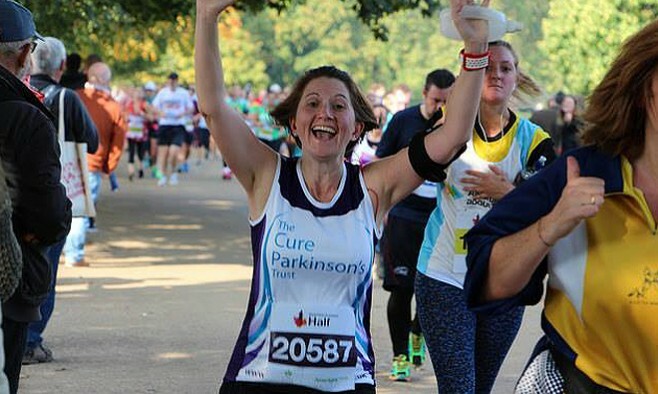 Raise money for the Cure Parkinson’s Trust by running a half-marathon. The Cure Parkinson’s Trust will provide fundraising materials, ranging from collection buckets, to posters, to balloons to help you with any fundraising efforts. A wave of technological innovation is transforming healthcare, from new types of medicines to health apps, connected medical devices, and the big data revolution. This symposium addresses concerns over cost, patients’ privacy and the security of sensitive information that these technologies can bring. Raise money for the Michael J Fox Foundation by entering this hotly contested baking competition. Ticket holders will have 10 votes to use for their favourite cupcakes. Winners will be announced as the judge’s votes are tallied. Prizes will be given in each category for Best Decoration, Best Taste and Best Cupcake. The 3rd Annual Dune Road Walk for Parkinson’s Research is a 2.5-mile sunset walk beginning at Roger’s Beach and ending with a party at The Mill Roadhouse. Ticket price includes catered buffet by Bobbique’s of Patchogue, a DJ and happy hour drink prices. Take on this iconic challenge event for Parkinson’s UK and climb the highest peaks in Scotland, England and Wales all in one go. Take on Ben Nevis, Scafell Pike and Snowdon over the period of 24 hours and raise money for Parkinson’s.